Fill in the application form and join us! The form is on the bottom of this page. Please take a look at our FAQ section it is avaliable here. Should you have any problems with our electronic form, please download and fill in the following files: application form and scholarship application form. For account numbers, see below. The classes begin on July 1 in the afternoon. Accommodation in a dormitory is only possible from July 1. Submerge yourself in our intensive Yiddish summer course and a variety of language-related activities in our Warsaw Yiddish Center. 60 hrs of language instruction. 10 hrs of afternoon language tutorial for beginners / speaking classes for more advanced students. Afternoon lectures and a handful of workshops (e.g. Yiddish song, theater, reading Yiddish manuscripts), evening movie screenings. Guided tours in Warsaw (the Jewish cemetery with tombstones of Y.L. Peretz, Chone Shmeruk and others; the Jewish quarter of Praga on the right bank of the Vistula river, the Warsaw ghetto) as well as visits to the Jewish Historical Institute and other venues and museums. The lectures and language instructions will be given by specialists from various centers, including Warsaw University, Jagiellonian University, Wrocław University, Warsaw Museum of the History of Polish Jews, Polish Academy of Science and Jewish Historical Institute and others. Participants will also get a unique opportunity to meet native Yiddish speakers from Poland and learn about the history of postwar Yiddish culture and other topics from the best specialists in the field. Natalia Krynicka is an acknowledged teacher, researcher and translator of Yiddish literature. 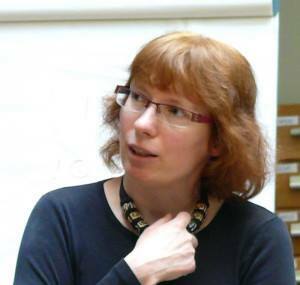 Since 1995 she has worked at the Medem Library in Paris, where she is the co-director of pedagogy and the chief librarian. She teaches Yiddish and Jewish literature at the Sorbonne and at the Center for Yiddish Culture (Maison de la culture Yiddish) and on international seminars in Paris, Strasbourg, Vilnius. Her doctorate concerned the Polish-Jewish cultural relations in the light of translations from Polish to Yiddish and from Yiddish to Polish in the years 1885-1939. She has regularly published Yiddish translations in “Cwiszn” magazine and others. Linguist, translator, yiddishist, a graduate of German at the University of Warsaw. At the Faculty of Modern Languages at the University of Warsaw in 2012 she defended her doctorate about Yiddish-Polish language contacts. She received scholarships of The Goldstein-Goren Diaspora Research Center, Vilnius Yiddish Institute, YIVO Institute for Jewish Research. She was an editor of the “Language” section of the “Cwiszn. Jewish quarterly magazine of literature and art”. She teaches Yiddish for seven years, among others during International Summer Seminar of Yiddish Language and Culture in Warsaw. 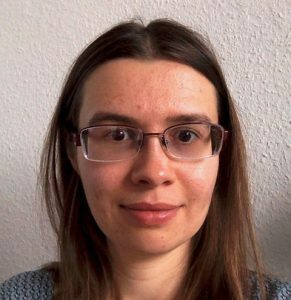 As a translator she cooperates with the Jewish Historical Institute in Warsaw (as a translator of the new edition of the Ringelblum Archive), Polin Museum of the History of Polish Jews. She is also a sworn translator of Yiddish. Paul Glasser received his doctorate in linguistics from Columbia University. He served as dean of the Max Weinreich Center at the YIVO Institute for Jewish Research. He has taught Yiddish language and linguistics for many years. He was the editor of the English translation of Max Weinreich’s History of the Yiddish Language and co-editor of numerous other publications. He has been editor-in-chief of Yugntruf magazine, a member of the editorial board of Tsukunft, and now serves on the editorial board of Afn shvel. He is the co-editor of the new Comprehensive English-Yiddish Dictionary, the key to Yiddish of the 21st century. He is currently translating Jacob Shatzky’s History of Jews in Warsaw into English. 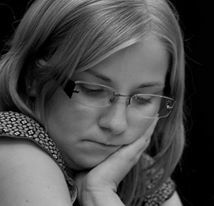 Daria Vakhrushova is a doctoral student at Heinrich Heine University, Düsseldorf. She studied translation and translation theory at Nizhny Novdorod State Linguistics University, Russia, and received her MA degree in Yiddish culture, language, and literature in Düsseldorf in 2016. In 2017, she joined the GIF (German-Israeli Foundation) project In Their Surroundings. Her PhD project is devoted to the Yiddish cultural project in the Soviet Union and includes the study of literary, linguistic and cultural aspects. She is currently teaching courses on modern Yiddish literature and culture at Heinrich Heine University. You can pay by PayPal. Our e-mail there is: shalom@shalom.org.pl. Please add 4% for fees if you pay by PayPal. Thank you! Scholarship opportunities: a limited number of partial scholarships is available. Preference is given to students form Central and Eastern Europe but other students are also encouraged to apply. Deadline for submissions: May 31, 2019. The deadline for scholarship applications: April 30, 2019. Please note that no scholarship opportunities are available for the two-week course and the cultural program only. Only students willing to participate in the whole program are eligible to apply. If you need help in finding an accommodation, please contact us. Please fill out the application form and send it back by email to zumerkurs@shalom.org.pl. You will find all the files below. You can contact us at zumerkurs@shalom.org.pl. Patronem projektu jest Muzeum Historii Żydów Polskich Polin. Współorganizatorem projektu jest Teatr Żydowski im. Estery Rachel i Idy Kamińskich.